A sequel to 4 Pics 1 Word Puzzle: What's That Word? 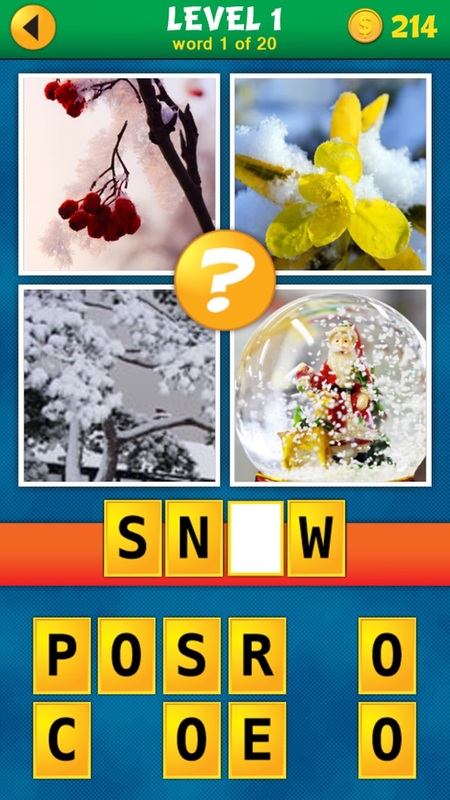 Look at 4 pictures and guess what word they represent. This sounds easy, but some puzzles can be tricky! If you like quiz and word games, you'll enjoy this fantastic brain teaser. FEATURES: • You can skip words and come back to them later. • The pictures are revealed one by one. 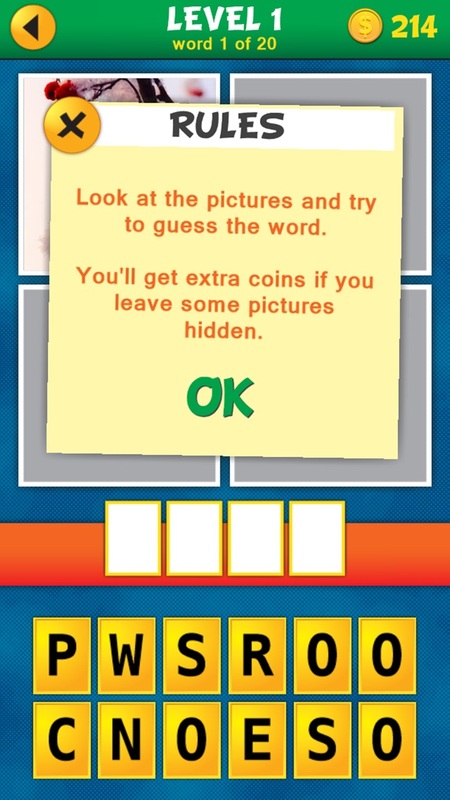 Guess the word with less pics and earn extra coins! 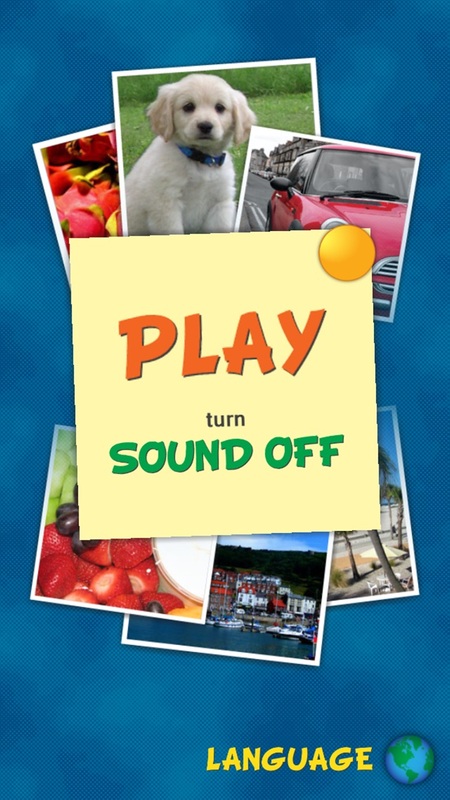 • Play in any of the 6 languages (English, French, Russian, German, Spanish or Portuguese) Simple and highly addictive game for the whole family! 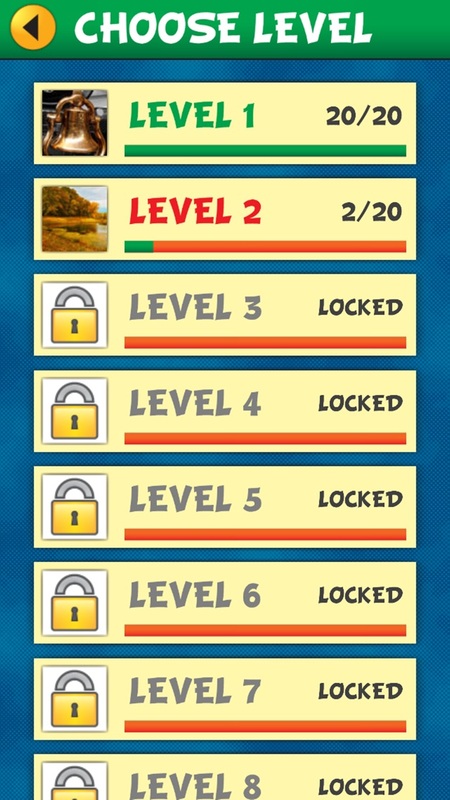 • 15 levels with 300 words • Unique puzzles: from easy to really challenging • Earn coins by guessing the words and use the coins to help you solve most difficult puzzles Can you guess all words and unlock all levels? 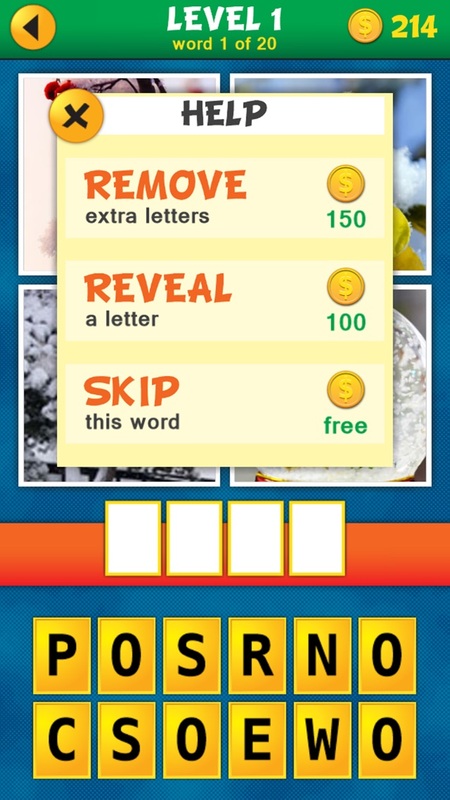 I love picture/word games and this one has just the right degree of difficulty. The game would not advance, after two rounds it took me back to the first one. You can only earn a max of 5 points per puzzle, yet it costs 300 points for one letter!! Rip off!! I was suckered into buying points and the cost of the letters went up!! Rip off!! Answers are sometimes a little vague which I like. Have been stumped a couple times. Stimulating at times, frustrating at times. The connections are a stretch sometimes. Nice change from all the other games out there. Like this game, and fun for the whole family.